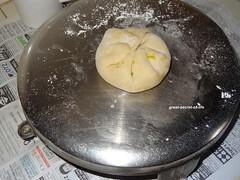 Take the lemon size ball. 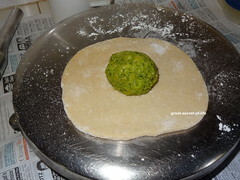 Roll out into thick chapathi and add stuffing in the middle and gather the dough from all side and make a ball like in the pic. 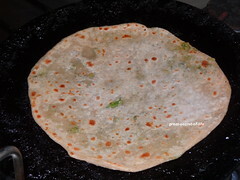 Roll out to thicker chapathi / paratha. 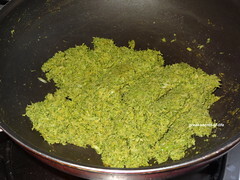 Heat the flat pan. 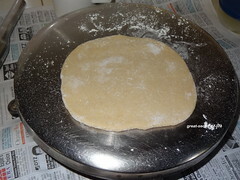 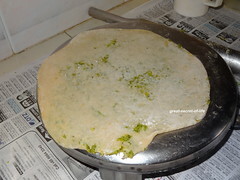 add rolled chapathi and sprinkle oil around it. 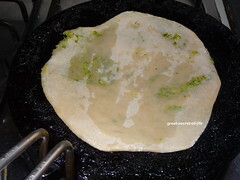 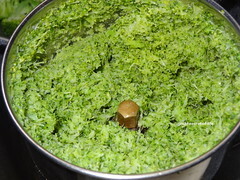 Cook till brown spot appear. 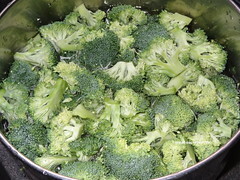 Turn around and cook. 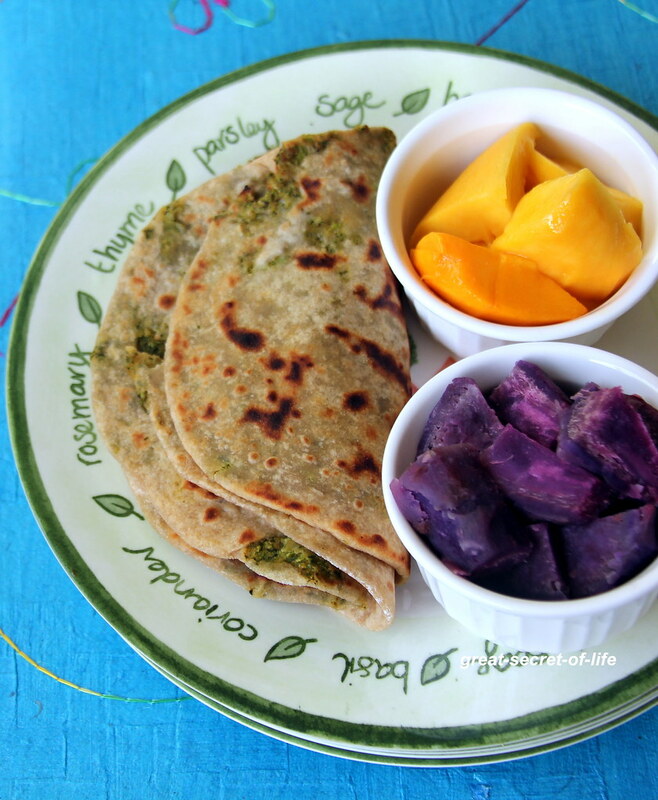 Take out and serve hot with favourite raita. 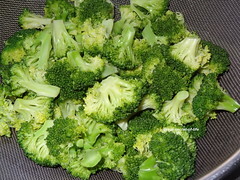 Nice way to include brocolli!! 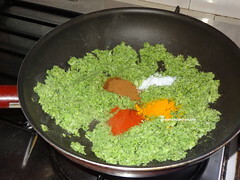 lovely color!! 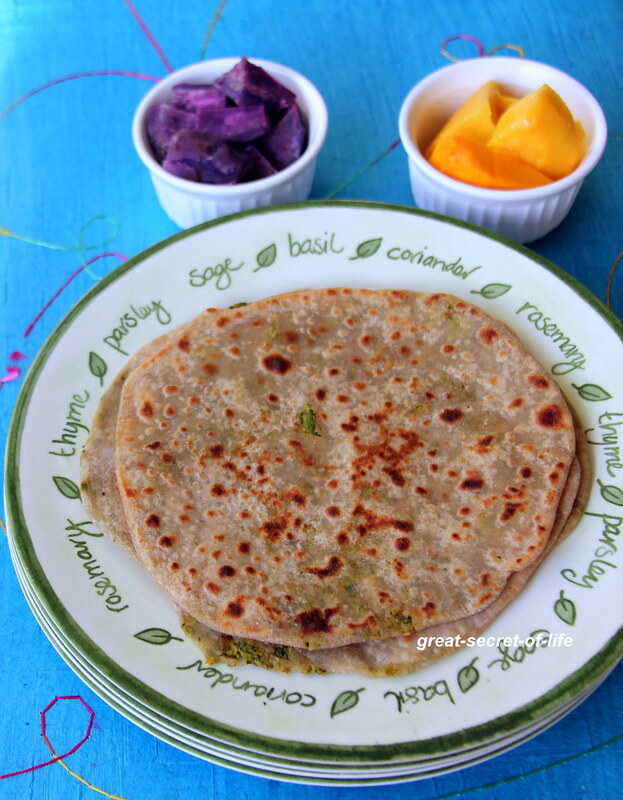 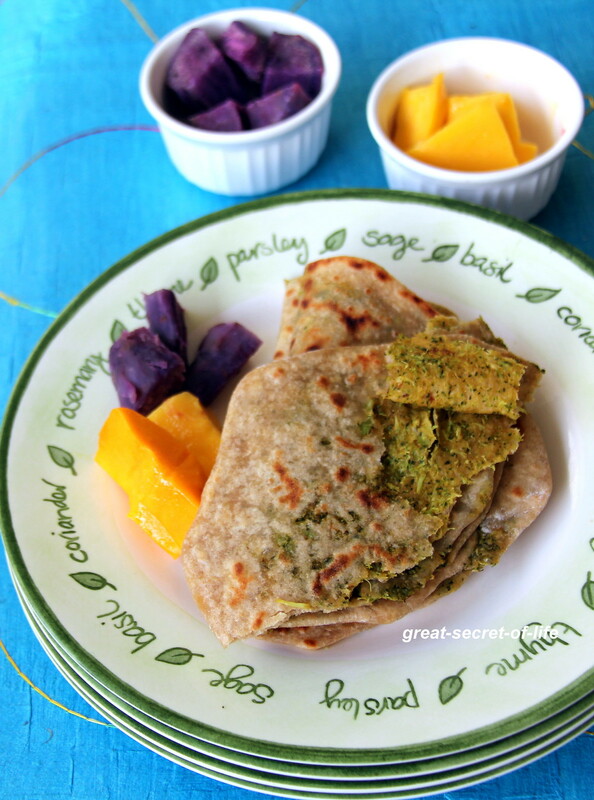 Healthy broccoli parathas.. looks delicious..
Great way to include broccoli in our diet.